All Music Lovers Will Go Crazy For These Gadgets! Whether they love classic rock or pop, we all have people in our lives who are obsessed with music. Or maybe you are obsessed with music from a certain era or genre. Music has the power to make us happy or cry or even remind us of moments during our lives. So any gadget that can encourage you to listen to more of it is a big bonus. There are countless music-related gadgets available from guitar tuners to speakers to help enhance your musical experience. So whether you want to treat yourself or a friend, here are some essential gadgets all music lovers will go crazy for. Vinyl Record Player – Record players have experienced a resurgence in recent years as more people return to listening to records. So why not consider buying a record player? You’re bound to love the nostalgia associated with this gadget, and it can also encourage your to start your own record collection. You don’t even have to listen to records if you don’t want to. 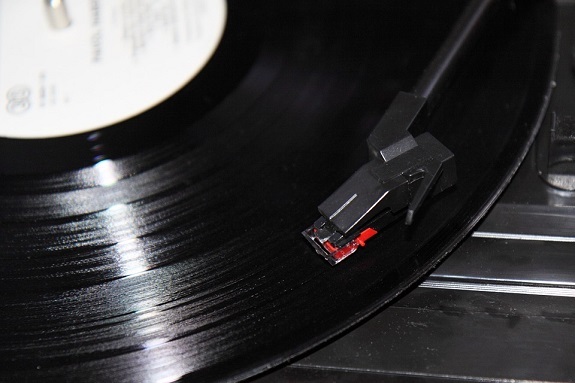 Many record players have USB ports, so you can connect them to your computers to play your favorite playlists. Not only do they create a unique listening experience, but they are also fantastic decorative features to have in a home. If this sounds like a gadget you might appreciate, click here or read customer reviews to find the best quality player you can afford. Headphones – If you want a gadget that enhances the sound of your music, a new pair of headphones could be the perfect option. This gadget can help you enjoy listening to music on the go or to help you escape when you are at home. To find the perfect pair of headphones, visit a music store to try out some different options. While the style is important, try to prioritize the sound quality over the appearance. Also, think carefully about when you are most likely to use these headphones. If you enjoy listening to music when they exercise, wireless headphones may be more suitable. Whereas if you like to sit back and listen at home, long wires and comfortable ear buds are a must. Musical Instrument – Whether it’s a guitar or a keyboard, a musical instrument is an excellent gadget for a music lover. Perhaps you want to join a band or write your own songs but don’t have the skills to do so. In which case, this gadget can encourage you to learn something new and immerse yourself in your passion. Think about instruments you would like to learn how to play. If you’re struggling to come up with ideas, head to a musical instrument store to get inspired. You can also gain advice and guidance from the staff on which are the best instruments for beginners. As an added extra why not also take up music lessons too. Click here to find out more or go online to find instructors in your local area. So whether it’s for your brother or yourself, any of these gadget ideas are bound to make you love music even more.